Remembrance is highlighted in the December edition of The Greenwood Tree, the first since the remarkable centenary ceremonies in November which marked the 1918 Armistice. September’s World War One Special Edition was largely dominated by family history stories of the conflict and the December issue, which will be mailed to members at the end of November, echoes some of those themes. Editor, Paul Radford, previews the edition, which SDFHS members can already view or download from the Members’ Area of the Society’s website. 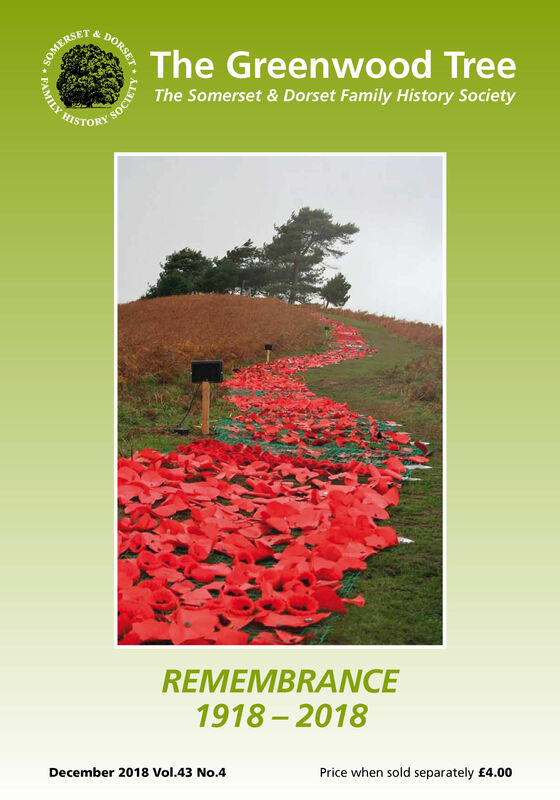 The front cover colour photo shows the spectacular River of Poppies flowing down from the brow of Colmer’s Hill near Bridport, one of Dorset’s best-loved landmarks. The poppies were made of handcraft materials and assembled by local schools and community groups and tied to netting provided by Bridport firms. 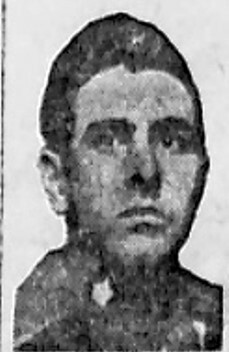 The lead story is another heart-rending World War One tale, featuring Somerset-born Arthur James Caswill, who was killed just 39 days before the Armistice while fighting for the Canadians in northern France. He had been on the front for less than a month. Arthur’s first cousin twice removed, Chris Caswill, his wife Lynne and cousin, Andrew Caswill, visited the graveyard where he was buried to mark the centenary of his death and the story is accompanied by photos of the headstone, cemetery and Canadian memorial. There are also several photos of the Society’s highly successful AGM and Open Day organised by our East Dorset group in Wimborne. 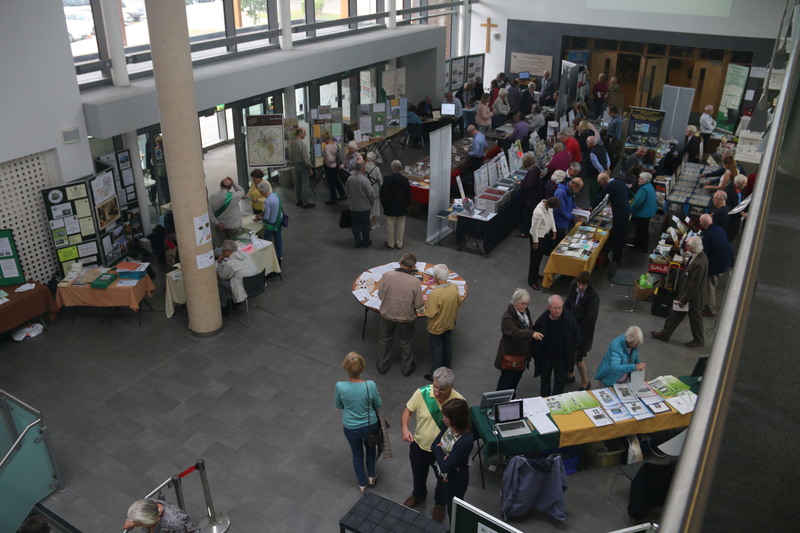 The main hall at the Society’s successful Open Day at Wimborne on 22 September. Garth and Chris Denman delve into ‘forbidden’ marriages they discovered while researching their Somerset ancestors. The Church of England banned men from marrying a sister-in-law until an act of Parliament in 1907 legalised a practice which had been widely flouted. Talking of weddings, former editor of The Greenwood Tree Bob Barber offers Marriage Guidance for Genealogists, providing a valuable and detailed step-by-step guide to the most reliable ways of finding information from official marriage records. Contributor Janet Hall solves a mystery which has been out there for a decade and which was originally raised by another former editor of The Greenwood Tree, Colin Dean, in 2008. Colin had spotted an invoice displayed on a pub wall in Flintshire for work done by carpenter Ludwell White of South Brewham of whom nothing was known. Janet discovers the real story of Ludwell White, who turned out to have been married twice and who died at the age of 92 in 1964. 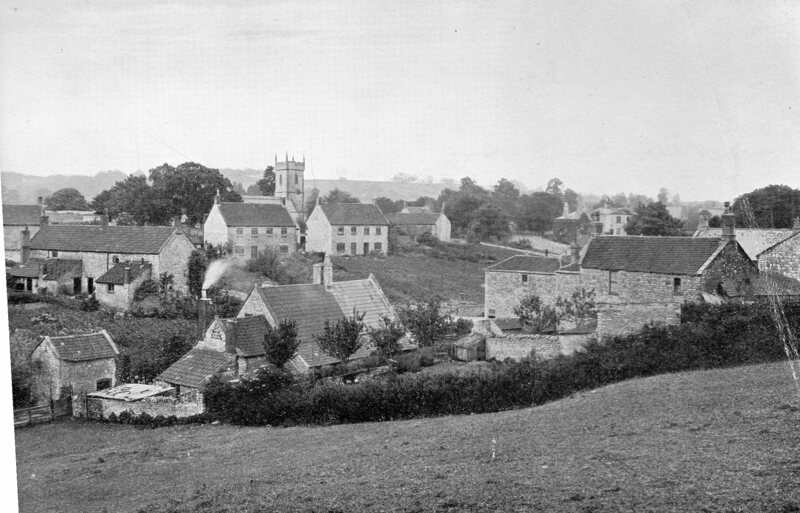 Peter Meech set himself the challenge of building a family tree of the John family of Dulverton after receiving an envelope containing a collection of old photos sold off at auction and sent to him as membership secretary of the Sherborne Historical Society. The December edition also contains regular features: Computer Corner; Somerset Spotlight, this time on Farmborough in Somerset; What the Papers Said; Buried in the Archives, looking at the November 1993 issue of The Greenwood Tree; People, Places and Problems, and a whole page of Letters to the Editor. The March 2019 edition will focus on the role of DNA testing in family history. I have included in this December edition my report on a seminar on the subject and am asking for readers’ contributions on the subject for the next issue. Paul Radford – Editor of The Greenwood Tree. This entry was posted in Uncategorized and tagged Arthur James Caswill, bridport, DNA testing, Dulverton, East Dorset Group, Farmborough, John family, Ludwell White, Paul Radford, River of Poppies, South Brewham, The Greenwood Tree, Wimborne, World War One. Bookmark the permalink.